Students will explore various media including geometric drawing, life drawing, painting, sculpting, and pottery. Videos and reproductions of "The Masters", as well as contemporry artists are shown, discussed, and debated. The classroom atmosphere will encourage each student to develope their own creative abilities. 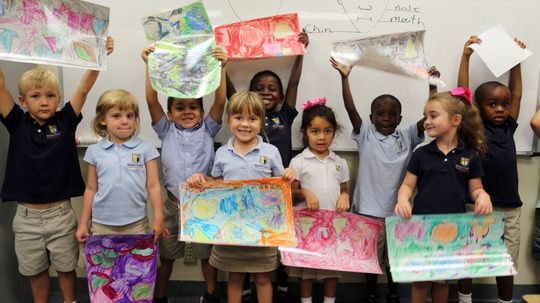 Throughout the school year the student will be exposed to various art terms, tools, styles, and techniques. Students will be expected to visually recognize, discuss, and define specific historically significant art periods.